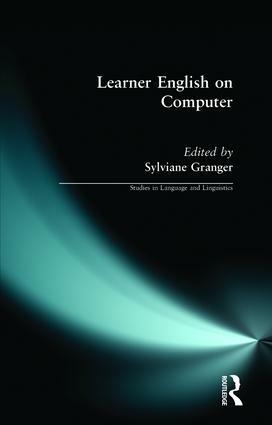 The first book of its kind, Learner English on Computer is intended to provide linguists, students of linguistics and modern languages, and ELT professionals with a highly accessible and comprehensive introduction to the new and rapidly-expanding field of corpus-based research into learner language. Edited by the founder and co-ordinator of the International Corpus of Learner English (ICLE), the book contains articles on all aspects of corpus compilation, design and analysis. The book is divided into three main sections; in Part I, the first chapter provides the reader with an overview of the field, explaining links with corpus and applied linguistics, second language acquisition and ELT. The second chapter reviews the software tools which are currently available for analysing learner language and contains useful examples of how they can be used. Part 2 contains eight case studies in which computer learner corpora are analysed for various lexical, discourse and grammatical features. The articles contain a wide range of methodologies with broad general application. The chapters in Part 3 look at how Computer Learner Corpus (CLC) based studies can help improve pedagogical tools: EFL grammars, dictionaries, writing textbooks and electronic tools. Implications for classroom methodology are also discussed. The comprehensive scope of this volume should be invaluable to applied linguists and corpus linguists as well as to would-be learner corpus builders and analysts who wish to discover more about a new, exciting and fast-growing field of research.